B Murphy; M Barker, D Dennehy, G Peers, I Bermingham; P Cregg; C Byrne, JJ Luney (A Keena 67), A O'Hanlon (B Dennehy 53), K Byrne (G Kelly 53); C Fagan. P Cherrie, H Douglas, C Kenna, T Clancy, K Lynch; A Greene, J Sullivan, K Buckley, D Connolly (Moore 90+5); G McCabe (Brennan 83), A Flood (G Pender 73). Bray Wanderers' league debutants Anthony Flood and Gary McCabe were both on target as Harry Kenny's side claimed a 2-1 opening night win over hosts St Patrick's Atheltic at Richmond Park. Tempers flared late on, with Pat's substitute Aidan Keena sent off for a late challenge on Bray star Dylan Connolly before Darren Dennehy also saw red in a melee that followed the tackle. 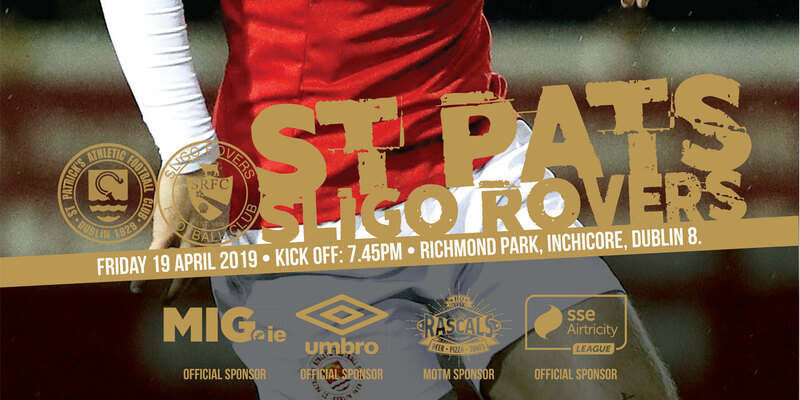 Inconsistency was a major gripe for Saints boss Liam Buckley throughout last season and the manager will hardly be impressed by the fact that the only thing his side were consistent with last night was their lack of initiative going forward. Pat's failed to manage one shot in the opening half, while their attack wasn't up to much after the break either with a fluid Bray outfit recording a comfortable victory in front of a crowd of 1,722. 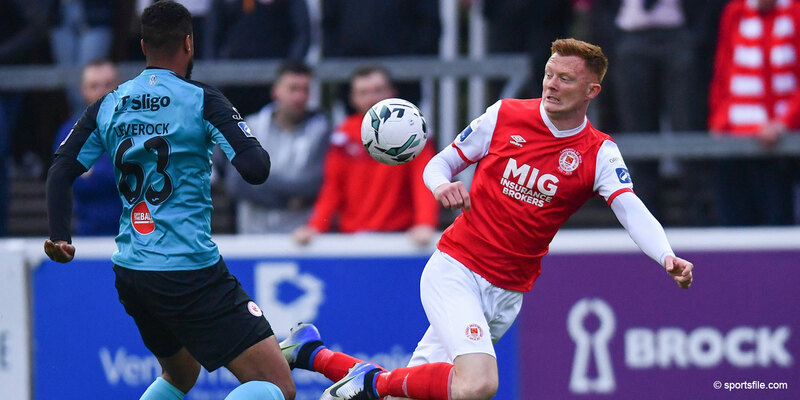 Flood, who recently returned to Ireland after a three-year spell in Australia, opened the scoring for the visitors on 22 minutes, getting on the end of a Dylan Connolly cross. Winger Connolly - a prized asset Kenny has managed to keep a hold - was lively on the counter, picking up the ball on the Camac side and zipping down the wing before cutting the ball in for 'Bisto' to finish from near the penalty spot. Pats were lacklustre in the opening half, failing to create any chances. In contrast, Bray were proactive going forward with Aaron Greene an energetic presence up front. Prior to Flood's opener, Gary McCabe - a recent signing from Shamrock Rovers - sent a free-kick whizzing over Barry Murphy's crossbar. A John Sullivan header tested the keeper after the opener before a Kevin Lynch free threatened to cause trouble in the Pat's box, but Harry Kenny's side had to be content with a 1-0 lead heading into half-time. 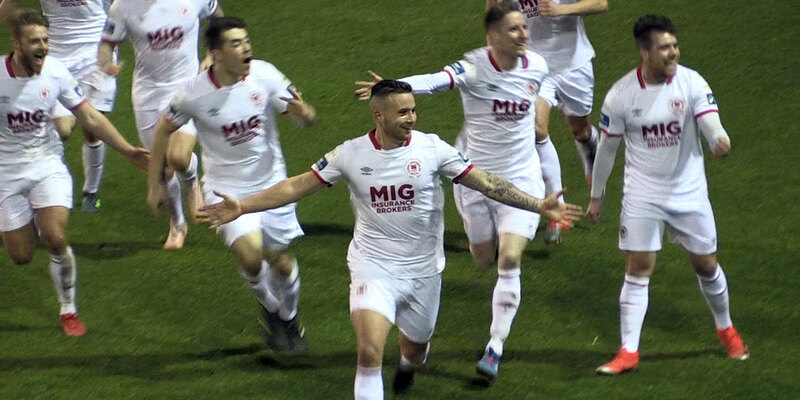 Pats could easily have been two down just two minutes into the second half but for a perfectly timed challenge from Michael Barker, who disposed Connolly on the edge of the box with the winger bearing down on Murphy's goal. The keeper was next to make a last-ditch intervention as he slid out to his box to nick the ball off Flood, who saw his next shot cleared off the line by Patrick Cregg moments later on 53 minutes. Buckley moved to make changes at this stage, introducing Graham Kelly and Billy Dennehy, while Bray star Connolly appeared lucky to get away with a yellow card for a late challenge on Gavin Peers on the hour mark. McCabe doubled Bray's lead on 65 minutes, seizing on a stray ball at the edge of the Pat's box to rifle past Murphy. The concession of a second goal appeared to wake the home side up, with substitute Graham Kelly having a shot cleared off the line by Tim Clancy on 74 minutes before Keena shot wide a few minutes later. Kelly finally managed to sneak one in with five minutes remaining in normal time, diverting a pinball effort past Peter Cherrie in the Bray goal. With the seconds ticking away, Keena was given his marching orders before Dennehy was also shown red, while referee Derek Tomney booked both keepers and Clancy after the shoving match that followed Keena's tackle on Connolly.